$3400 a month. Minimum of 28 days Required. 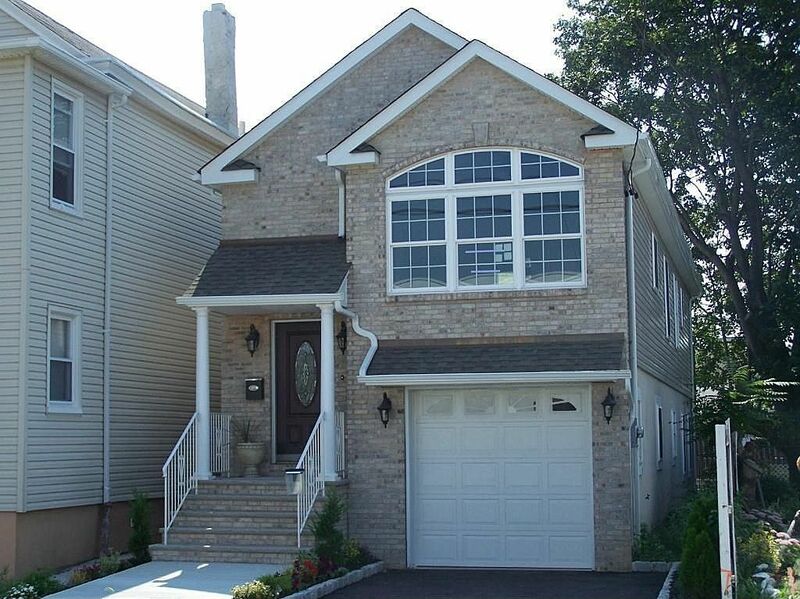 Our rental property is located in a safe,quiet clean neighborhood minutes away from all major highways to NYC. To be exact we are 16.5 miles away from Lincoln Tunnel. Master bedroom has 2 full size beds, a dresser, nightstand, private full bathroom, celing fan, a huge closet, double sliding doors that opens up to a beautiful deck and a beautiful new Flat screen TV. The private bathroom is equipped with toilet, shower and tub ,sink and cabinet with a mirror. Bedroom # 2 has 2 full size beds, ceiling fan, closet, dresser and a new flat screen TV. Bedroom # 3 has 2 full size beds, ceiling fan, closet,dresser and a new flat screen TV. The second bathroom has a sink,toilet,shower with tub and a cabinet with mirror. Living room is a very large space for family time and relaxation. It consist of one microfiber sofa, a ottoman, a leather full size sleeper sofa, ceiling fan, and a beautiful new flat screen TV. The kitchen as you can see in the picture is big. We stock it with dishes, pots & pans. We also offer a coffee maker, blender, rice cooker, dishwasher, microwave, refrigerator, stove and a toaster. We have 24 hour 7 days a week outside security cameras on our property for your security. Our daily rate is considered to be a minimum 2 nights. Friday and Saturday booking require a 3 night minimum. We can accommodate 12 guests comfortably. Over 5 guest there will be a $12 per person per night charge. No extra Guests.Rental Guest understands’ that we will accept families, couples and responsible adults over the age of 25 ONLY. Guest(s) agree to not exceed more than the number of people stated in the reservations. Rental guests will use premises in a way as to not disturb nor offend neighbors. If a violation is occurred the owner may terminate this agreement without notice and Guest(s) shall vacate the premises immediately. Check-in Procedure: Guest will receive either a text or an email from me one day prior to arrival. In that email or text there will be a 4 digit security code for the front door. Guest will also receive a 4 digit code for the lock box to unlock keys to open doors. Please when checking out be sure that house is clean, all trash removed. Also if any dishes or pots were used please clean them and return them to the original place. Also please make sure fridge and dishwasher is empty. Please return keys to the lock box. We have a smart key deadbolt lock with a custom code for every guest. You will get the code one day before checking in. Laundromat is three blocks away. Baskinger's Laundromat 357 Crooks Ave Clifton NJ 07011. Parking : One car in driveway. We do have plenty of street parking.Quick note when parking on the street there is alternative street parking please pay attention to the street sign on what times you can park. PETS AND SMOKING ARE NOT PERMITTED, in the apartment or on the property.Evidence of pets may result in a partial or complete loss of security deposit. We absolutely do not allow any illegal controlled substances or firearms to be entered into our home illegally. Cleaning is provided by a professional cleaning company. FREE High Speed Wi-Fi and Basic Cable. Ironing board and a steam iron also available for your convenience. Linens, Sheets, Hand/Wash Clothes, Fresh Clean Towels, Shampoo and Body Wash Soap are provided. You will get neighborhood map, along with list of attractions in NYC (with cool tips!) & also directions from your arrival location. Self Check-in available for late night arrivals. We are located 15-20 minutes by car to the Lincoln Tunnel or George Washington Bridge to NYC. ~~JFK Airport, NYC - 33.94 miles, easily accessible through bus/train. ~~LaGuardia Airport, NYC - 31.15 miles easily accessible through bus/train. 1). NJ Transit Bus # 190X New York City Express its a 10 minute walk from our home. Corner of Crooks Ave and Main St. In front of US Gas Station. 1 Hudson Place, Hoboken, NJ 07030. Served by Newark-World Trade Center and Hoboken-World Trade Center lines. Drive your car to Secaucus train station (A quick 15 minute car ride) pay no more than $24 per day, then take the NJ Transit train fro a cost of $4.25 per person each way. Works perfectly when families are traveling with a large passenger van or multiple cars. 3.Supermarket,laundry, 6 restaurants, pharmacy, 1 bank, are all located within 3 blocks. 4.Walmart, Jersey Garden Mall, Newport Center Mall, Garden State Mall ,Paramus Park Mall ,Bergen Mall & Willow brook Mall are all accessible by NJ Transit Buses from here. I must say we take pride in cleanliness and updating our house often. Our house is only 10 years old and we have already remodeled once. We treat our guest as family I am at your service 24 hours a day with answering any question you may have. We want to make sure you have the best and most memorable vacation ever. I'm an entrepreneur and a real estate investor. I love to travel with my family and meet new people. As your host, I'm here to make your stay and vacation comfortable, enjoyable and unforgettable, because you deserve it. Currently I have 2 listings for you to choose from and you can check them out below for locations and available dates. About Paterson NJ - It may sound surprising but it is faster to get to Manhattan from our locations (between 15-20min) than it is from other parts inside NY like Brooklyn, Queens, Harlem and Bronx. In addition you get spacious apartments, a place to call home to relax after a long day of site seeing. Our Vacation Rental is ideally located. It is 15 minutes away by car from Times square NYC, 10 minutes away from Met Life Stadium and the Prudential Center. Living room is a very large space for family time and relaxation. It consist of one microfiber sofa a ottoman, a leather full size sleeper sofa, and a beautiful new flat screen TV. This house was definitely nicer than expected. The place was very clean.The rooms were cramped only because of having 2 full sizes beds in each room. However, the beds were comfortable, linens were clean, towels were bountiful. The Host provided mostly everything you would need for a comfortable stay. The kitchen was fully equipped. Bathrooms had toiletries. Clean supplies were present for any spills. There was even a playpen. We didn't take public transportation into NYC. However, driving into NYC was less than one hour drive. We received warnings about the neighborhood from friends and the Uber driver. We felt safe and didn't see any reason to feel concerned. Recommendations: check in with guest via email to confirm they are settling in okay. We had trouble with the stove the 1st day and the recipient of the call was unclear of our request. Nice spacious comfortable house with plenty of room for everyone. A lot of delis and mom/pop stores close to house for daily needs/food plus a farmers market in walking distance. The stsy was great, the home was just as described. Thank you for the nice and honest review. Very much appreciated. The property was just as advertised!!! A very lovely, spacious and neat accommodation that suited a party of eight. Guiseppe was very nice and responded quickly to all my queries. I would definitely use this accommodation again if I had to go sightseeing in New York and would definitely recommend it to anyone who wants to do the same. Thank you for the nice review. We were glad to have hosted such a nice family. Hope to see you all soon. Highly recommend. Found Giuseppe's place on VRBO when my husband and I and our two adult children and their spouses were invited to attend my niece's wedding in Totowa. It not only met our needs, with a bedroom for each couple and two bathrooms, it exceeded them. For those who need them (and, these days, who doesn't) there are TVs in every room and excellent internet service. The place, an upstairs apartment, was immaculate and well-appointed, with just about everything we needed for the long weekend stay. There was even a driveway for us to park our rental car in, a major plus. Giuseppe was very communicative, checking on us each day and leaving complete instructions on arrival and departure procedures. The apartment also has a notebook he put together with information on things to do and recommended places to eat. Additionally, one of the kitchen drawers had lots of menus from local area restaurants and delivery joints. Thank you so much so much for the nice review. We appreciate it very much. Also we appreciate you taking good care of our home. Please come visit us again when you decide to visit our area. Very good apartment. Clean and well stocked. Owner is very responsive and easy to deal with. We had a great time during our stay.